I made these two wedding love birds for my Aunt and her new husband. I was quite happy with how they turned out that I have listed them on etsy as a custom order item. Do you ever just stare at your kids and see the light in their eyes, they are so beautiful. I am still amazed these marvelous humans came out of my body, did that really happen... this world is a crazy, wonderful and magical place. We made this ghost bowling game for Anna's Birthday party, I got the idea from one of the kindergarten Moms. It is white fabric covering 2 liter soda bottles and an old soft ball wrapped up like a mummy. The kids had fun knocking them over. It's an easy & cute up-cycle project that cost me nothing but a little hot glue! 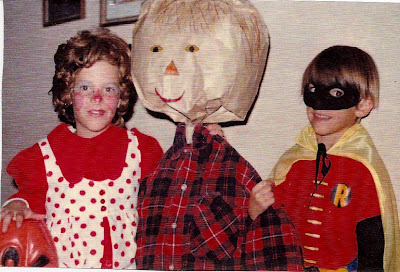 Me as Raggedy Ann and Brent as Robin with our homemade scarecrow. I think I was maybe 7 years old. I remember this wig, I wore it a lot when playing dress up. Brian and I both received a hand written invitation to Amelia's Fancy class. We entered her room to this set up. Then she went through each item telling us they are "Fancy" or "Old" as she had labeled them all by herself. Poor little doggy is "Old". I wonder how I would be labeled... I don't want to know... I guess if I have my high heels and jewelry on she would give me a Fancy label. 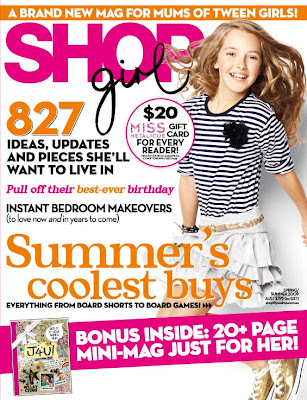 I was excited when the new magazine from Australia called "Shop Girl" asked if they could feature one of my robots! 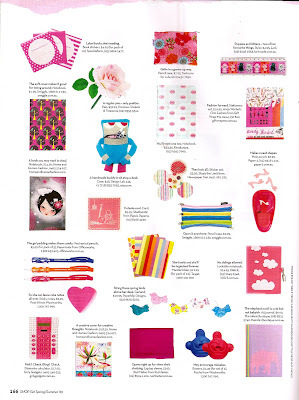 Here it is, how fun, my first handmade etsy item in print! 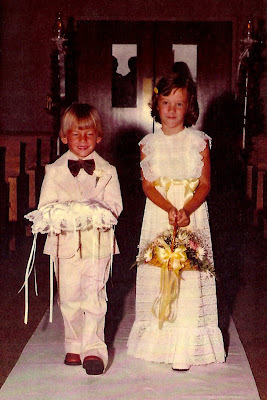 I think I was 6 in this photo at my Aunt Jeanne's first wedding in 1977. Brent was 4. I don't remember much from that day except for the puppets she gave us for being in her wedding. I still have mine and my girls love to play with it. My Mom still has this dress and it might fit Amelia now. It took Jeanne a long time before she started to date again but I think it was worth the wait, she found a great man that makes her smile! We enjoyed the evening, the balloons were a huge hit with the kids and made the room look magical. it's such an alien feeling. Oh, to be young again... with no cares in the world. Saturday night Brian & I went to University City Hall for the 100 Year Celebration and Lion Auction. I enjoyed meeting all the people, many Brian knew, a teacher from high school, an old employer, parents of kids he hung out with during his high school years. The U City Hall building is so beautiful, if you can stop in sometime. It features marble, carved wood, a grand staircase, and a the 5 th floor is amazing, like a ballroom. It makes me sad to think something that beautiful could never be build nowadays because the cost would be sky high. The auction began with my lion and someone stood up and told how kids from the library had been raising money with bake sales, etc. to bid on my lion! They made the first bid at $3550, the auctioneer asked if anyone wanted to bid against the cute kids from the library. Everyone laughed and shook their heads no. It was great! They auctioned off the other lions: $800, $2100, $1700, $2200, $600, $1100. My lion made the most... I was so proud and excited that my lion will have a permanent home inside the library. It's a perfect home for him and it will be great to take the girls for a visit. Recently we did the Brentwood 5K run/walk. Well... really we just did the 1 mile walk just as we have done the past 5 years. I am a sponsor for the walk and designed the logo. The girls look a bit tired in the photo since we woke them up early for the 7:30 walk. This year Amelia wanted to run... I hate running... and she wanted me to run with her. So we ran a bit then walked a bit... did I say I hate running! But I didn't complain to her, she had so much fun and who knows maybe I have a future track star? My newest creation for etsy... the itty bitty me doll custom made with your photo. I love how this turned out. Some may think they are a bit creepy but I think they are quirky and fun! You can't find this doll in any Target or Wal-mart. My new Sweet Acorn for fall... it makes me smile. Yesterday my heart broke as I lost my little shadow. 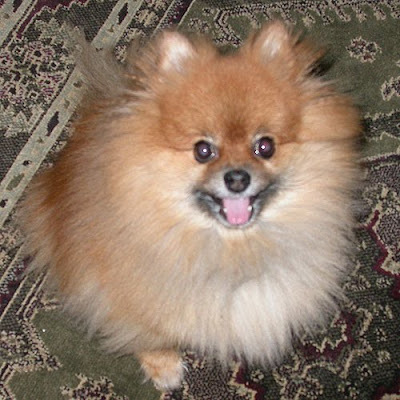 I had Bud for 14 years, he was my sidekick, my baby, my protector and my loyal friend. I am so thankful to have had him in my life and I miss him so much, I am a loss for words... Goodbye my sweet Bud.